Scott H. Reiniger As far as cuts go, Dawn of the Dead has many edits and its very difficult to gain access to something that is truely uncut. However, this is about as uncut as it comes. One of the very best horror films ever made. Far surpassing even Night of the Living Dead, this is the best zombie film you will most likely see and is rightfully always spoken in high regard. As far as the varying cuts go, this is the better (as opposed to the Director's Cut which is infact an early canne's version) of the various cuts. 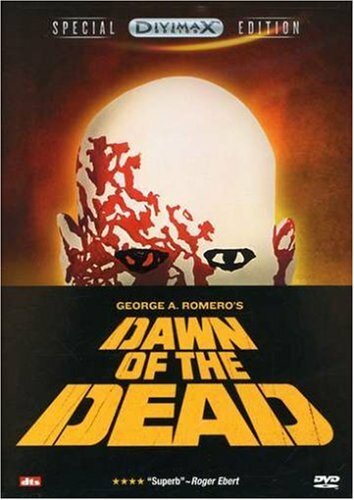 "George Romero's 1978 follow-up to his classic Night of the Living Dead is quite terrifying and gory (those zombies do like the taste of living flesh). But in its own way, it is just as comically satiric as the first film in its take on contemporary values. This time, we follow the fortunes of four people who lock themselves inside a shopping mall to get away from the marauding dead and who then immerse themselves in unabashed consumerism, taking what they want from an array of clothing and jewelry shops, making gourmet meals, etc. It is Romero's take on Louis XVI in the modern world: keep the starving masses at bay and crank up the insulated indulgence. Still, this is a horror film when all is said and done, and even some of Romero's best visual jokes (a Hare Krishna turned blue-skinned zombie) can make you sweat."